Nissen was a terrific singer and a fantastic Dutchman, and the rest of the cast is excellent. It's available on Preiser, although it may be OOP. Yes, this is a good one. Well worth hunting down. Yup, very good--there's also an outstanding Act 3 Meistersinger with Bohm, Nissen, Ralf and Teschemacher that's worth hunting down. There's also a complete Toscanini Meistersinger with Nissen in somewhat rougher sound, and at a criminal price right now on Amazon, but worth looking for a reasonably priced copy if you make a lot of allowances for recording quality. ps - decided to spin the Toscanini Meistersinger since it's been forever since I listened to it. Regarding the discussion we've been having about quality of singing then versus now, it just occurred to me that the David on this performance would probably make a better Siegfried than many of the Siegfrieds we've been inflicted with lately. Last edited by howlingfantods; Oct-25-2017 at 20:13. 1944 Krauss, Hans Hotter, awesome!!! Last edited by Fritz Kobus; Nov-17-2017 at 13:55. Last edited by DarkAngel; Nov-17-2017 at 14:28. You enjoy Ursuleac's performance as Senta? I thought it was ok. Certainly some exciting high notes. First episode of the second and probably most exciting part of the Wagner challenge: the mono recordings. 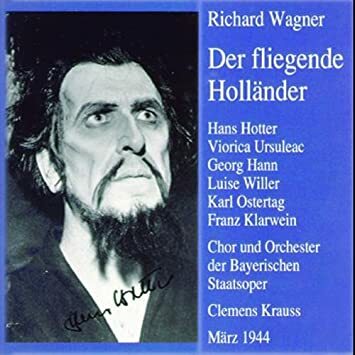 The Holländer mono selection has as much quality and quantity as the Stereo counterpart. Two big let-downs: Keilberth Bayreuth 56 and one of DA’s favourites: Sawallisch Bayreuth 59. It’s very hard for them (especially Rysanek and London) to confront a Varnay in her peak led by Kna. The singing lacked the punch of Sawallisch on the pit, and Keilberth rushed the score to reveal the weaknesses of Varnay’s aging voice. I was quite happy with the Krauss 44 and Fricsay studio recordings. 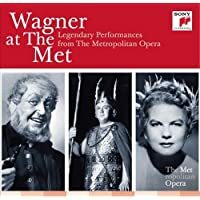 As an honourable mention, I quite liked the 1950 Met Broadcast conducted by Fritz Reiner. He is fine in the pit, but not as good as Hotter and Varnay together in lustrous voice. Sony is the remaster to get, not the older Naxos. I love how Hotter gives emotion to the Dutchman character and Varnay sings Senta without the vocal issues from late 50s. 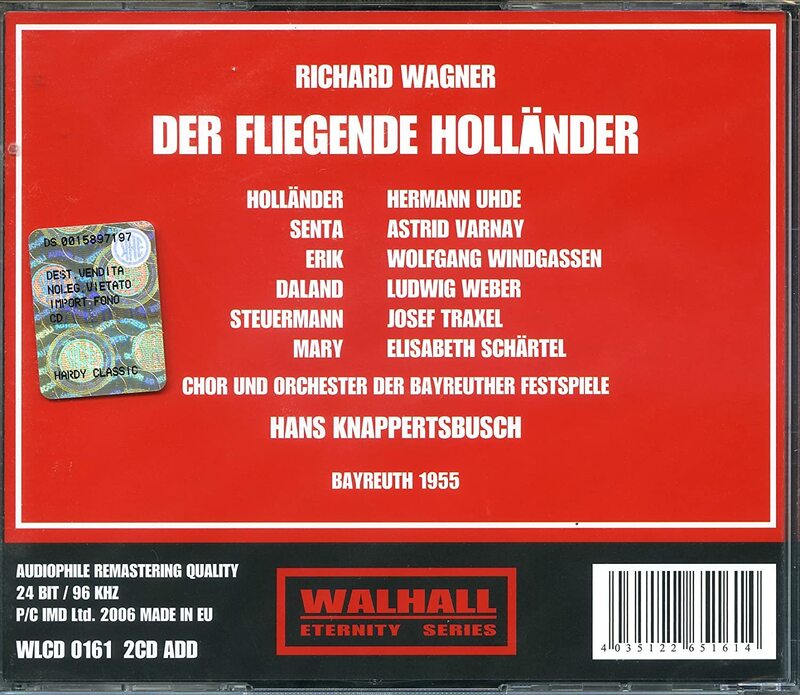 My favourite recording of the selection was the Knappertsbusch only evening in Bayreuth 1955. He gives the impulse and pauses that unveil a new Wagner to my ears, apart from an immense chorus, a whole different league. His style benefits Varnay the most. Uhde is an emotional Dutchman too, with more vocal projection than Hotter. 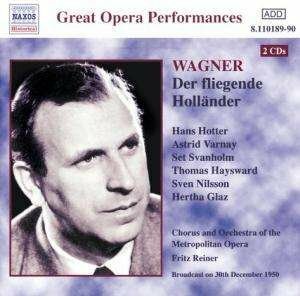 Windgassen's Erik is intense and dramatic and Varnay’s Senta grows from the Ballad. As the last remark, just that I tell the difference between Orfeo and Walhall, and others, in the tape hiss. Uhde is an emotional Dutchman too, with more vocal projection than Hotter. It's a nice study. I really like both as the Dutchman. Probably I should have said that Uhde to my ears sounds slightly more emotional than Hotter (Krauss 44 and Reiner 50). What I do state is Uhde's style in the portrayal versus Hotter's. Hotter, especially in Krauss 44, sings with less power than many singers in his place, but focusing the effort on the notes more than filling the house. Thus, he is able to convey a great deal of drama. Uhde does fill the festspielhaus but at the same time that projection keeps the tune, almost to the point of being oversweet. I really like it. However, I repeat that the decisive factor in the winning recording is not Uhde, but Knappertsbusch. Last edited by Granate; Dec-16-2017 at 00:31. Do you know if the Knappy '55 has the original or revised redemption ending? All times are GMT +1. The current date and time is Apr-25-2019 17:20.